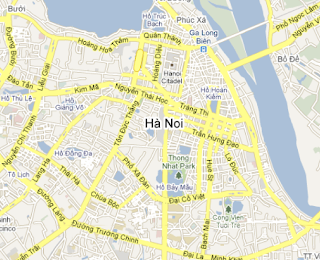 Internet users in Hanoi will soon find that they can’t reach certain sites when browsing the Web at local Internet cafés. A regulation enacted in April requires that all retail Internet locations install a server-side application by 2011. The application will likely allow the Vietnamese government to block access to websites, as well as to track user activities. The implementation of an application like this one would choke off access to information for many in Hanoi -- given how popular Internet cafés are among Internet users in Vietnam. If the regulation spreads beyond Hanoi, it will impose these vague and non-transparent restrictions on users all over the country. Together with the security attacks we detected on Vietnamese human rights activists earlier this year (see our security blog post on "The chilling effects of malware") and intermittent blockages of Facebook and other social networks, this regulation is a troubling example of a government threatening free expression online and an open Internet. Facebook is now totally blocked in Vietnam. It's presumed to promote the recently debut state-sponsored social network goonline.vn that officials say this state-controlled site defeats Facebook soon.